Ultimate Sports Insider is moving its home base to State College, Pennsylvania. 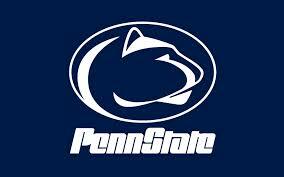 I've accepted a position at Penn State as Assistant AD for New Business Development effective August 24. My family and I are very excited about the opportunity to move to such a dynamic community and become part of One Team at Penn State under the leadership of Director of Athletics Sandy Barbour and Deputy Athletic Director Phil Esten. Here is the complete press release about the move. Ultimate Sports Insider will continue to publish as topics and opportunities present themselves. In addition, my career guidance and executive coaching practice which accepted a number of new clients in the past few months will be continuing as well. When you are all settled in, do you think you might do a piece on DFS and websites like https://www.fantasysportsdaily.com/ that cover them? Thanks for your note. Its an interesting topic and I'll add it to list of things to write about. Thank you for the idea.